Two white spots on back. 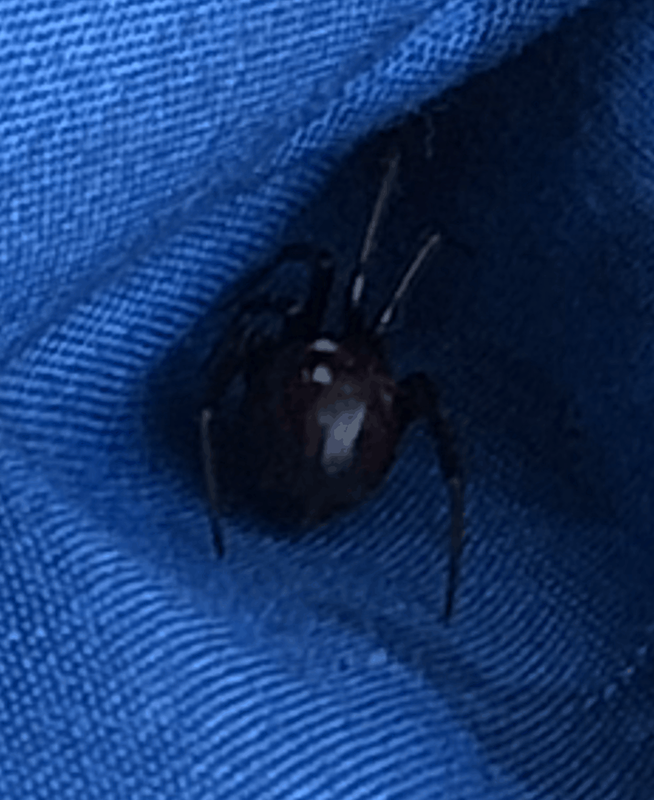 Quite large like size of a U.S. Quarter. Seemed lighter than a deep solid black. Found in laundry room. Seemed to desire darkness.